Person 1: “Yes, I know!! Because of the Coca-Cola advert last night”. Whenever I interject in such a conversation to ask why Coca-Cola holds such significant yuletide meaning for these cult members, I’m invariably received by a frozen glare that betrays a software malfunction. You see, long ago I committed myself to the solipsistic notion that I’m the only person in Great Britain (possibly the world) who hasn’t been body swapped with a marketing robot from Coke HQ. Or maybe it’s some sort of cultish indoctrination. As an aside (coleslaw probably), I also have similar suspicions regarding the universal reverence for ‘food’ outlet ‘Nando’s’. Back in the days when I still ate animals, I surrendered to the Nando’s hype on a single occasion and dined in one of their chaotic cattle markets. The experience left me with the view that Nando’s was essentially a more expensive, but marginally less terrible KFC. And I didn’t even have the comfort of knowing there was a Colonel running the place. They even have an ultra-secretive and exclusive ‘Black Cards’ club that only the most rich and famous amongst their congregation can consider themselves members of. 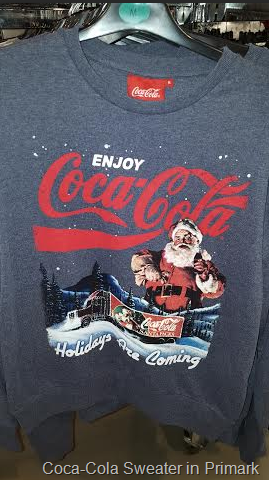 Of course, Coca Cola does have a notable connection to festive lore. It’s commonly claimed that they invented the iconic jolly red depiction of Santa we have all come to know and love. 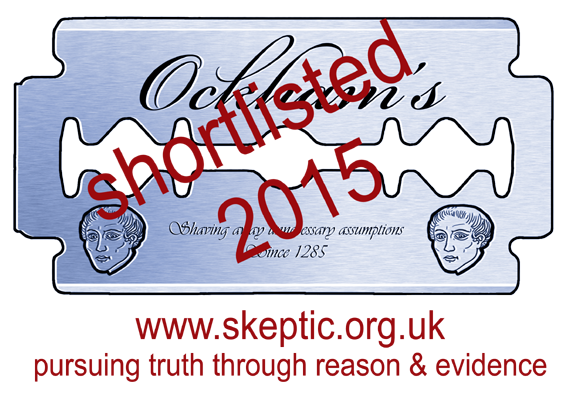 That’s more or less true, with it being more accurate to say they popularised it. Needless to say, each year excitement over a Christmas commercial for a can of sugar reaches fever pitch. Jesus would be turning in his tomb if he hadn’t vacated it. And if someone hadn’t made up the whole story about Jesus being in a tomb and vacating it. “I’m writing to you on behalf of many Coventry residents who’d love to see you return to our city with your Christmas truck. 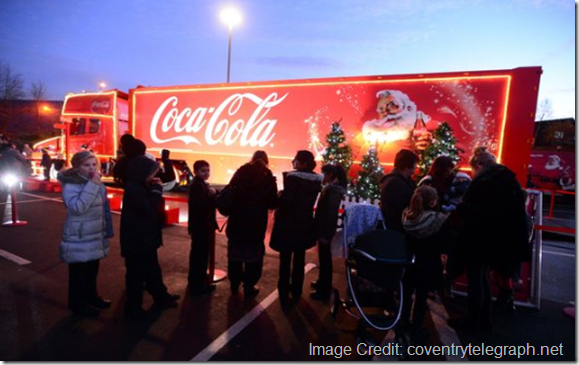 “The Coca-Cola Christmas truck has been a great part of our festive celebrations here in the city over the past couple of years and we were so disappointed to hear that you weren’t planning to come here this Christmas. “I know that at this late stage you’ve got all your plans firmly in place for the towns and cities you’ll be visiting, but I thought it was still worth dropping you a line to say we’d give you a very warm welcome if you change your mind and can fit us in at any time over the next few weeks. Yeah ok, so I added the one reference to ‘sugary overlords’ for effect, but you see my point. You can’t help but feel he was one breath away from offering up a human sacrifice to appease his calorific gods. Of course, it’s not for me to tell people how to celebrate Christmas. Christmas truly is what you make it. I’ve just never understood the willingness to make it about a soft drink. There are many things I don’t understand about Christmas of course. Sprouts, Zombie Jews and Cliff Richard to name but a few – but The Cult of Coca-Cola is truly the most perplexing phenomenon of them all. Just as Pagan meaning for this time of year was eclipsed by Christian tradition many years ago, maybe this era will be remembered for the generation that ushered in this Scotch murdering, tooth-rot as the new reason for the season. Holidays are coming. I urge you to Join the resistance.